Project & Program Management Services Management Engineering's Associates consist of experienced industry executives with specific globally recognized credentials. Our US State-registered Professional Engineers are certified Project Management Professionals (PMPs) through the Project Management Institute. Supply Chain Training, Assessment & Development Services Management Engineering's Associates are recognized as Certified Fellows in Production and Inventory Management (CFPIM), Certified in Integrated Resource Management (CIRM), and Certified Supply Chain Professionals (CSCP) by APICS, The global Association for Operations Management. Retail Experience Design Management Engineering's Associates include degreed Industrial Engineers from top US universities with graduate credentials in Human Factors and Psychology, recognized as Certified Systems Integrators (CSI-IIE) by the Institute of Industrial Engineers. 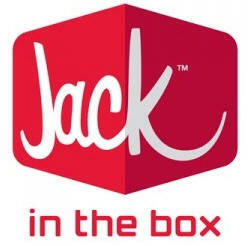 Our experience includes design work on all facets of retail store layout and customer experience in the Quick Service Restaurant space (Jack-In-The-Box) as well as cell-design for placement of dedicated presence for consumer products and services (electronics, photo processing) within large retailers such as Walgreens, Wal-Mart and Costco. Management Engineering leads in the application of Total Customer Experience (TCE) concepts across the retail customer lifecycle through the application of Quality Function Deployment (QFD), rigorous consumer testing, and robust project management. Quality Improvement Services for Business and Healthcare Management Engineering's Associates are Certified Professionals in Healthcare Quality (CPHQ) by the National Association for Healthcare Quality (NAHQ) and Certified Quality Engineers (CQE), Certified Quality Auditors (CQA), Certified Reliability Engineers (CRE) and Certified Managers of Quality / Organizational Excellence (CMQ/OE) by the American Society for Quality. Further, our Associates serve as Senior / Alumni Examiners on the Malcolm Baldrige National Quality Award Board of Examiners and have led Baldrige-based assessments for several US State programs and internal company programs. MEC began the introduction of Industrial Engineering improvement techniques into the hospital environment nearly half a century ago. Custom Training in Lean, Six Sigma, and other Process Improvement methods Management Engineering's Associates are ASQ Certified Six Sigma Black Belts (CSSBB) with deep experience as Master Black Belts managing large-scale Lean Six Sigma implementations. Our Associates can take proven improvement tools and create training customized to your organization. Our Associates specialize in delivery of Virtual Training to allow you to reach your constituents in the most convenient and cost-effective way. Quality and Operations Conformance and Assessment Services for Manufacturing and Service Businesses and Healthcare Organizations Management Engineering's Associates are Certified Pharmaceutical GMP Professionals (CPGP) and Senior / Alumni Examiners for the Malcolm Baldrige National Quality Award. They are experienced in bringing organizations into compliance with ISO, RoHS, FDA cGMPs, Joint Commission, and other voluntary or mandatory guidelines. Services range from writing Applications or Quality Management System documents to guiding organizations in continuous improvement to reach their overall goals.